With chickpeas, a "fiver" could easily become a "twenty-fiver." Chickpeas work in so many dishes, and that doesn't count all the uses of chickpea flour and aquafaba, the water in cans of chickpeas that whips up like egg whites. You'll find some chickpea classics here--hummus and falafel--that I've included because I've finally discovered reliable ways to make them with maximum taste, texture, and nutrition. I also include a plant-based version of General Tso's Chicken as well as two less familiar dishes in which chickpeas take an important role in an ensemble cast. The download is in .pdf format. Nutritional information is provided for each recipe. It’s free! 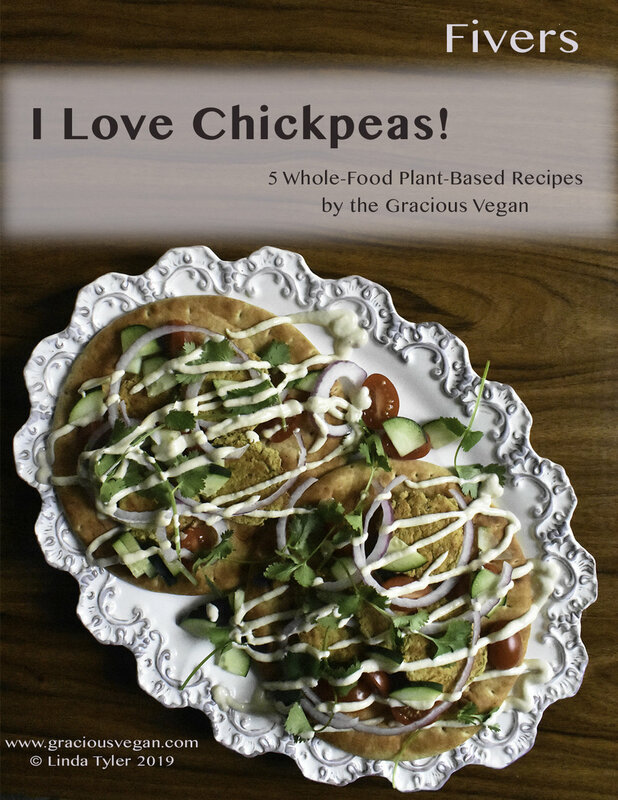 Download "I Love Chickpeas" Fiver. Thai and Indian curries that use canned coconut milk are so good! But coconut milk contains a lot of saturated fat. There had to be a way to get close to that wonderful flavor without so much of the bad stuff. After much experimentation, I landed on cashew milk made from fresh raw cashews, plus a bit of coconut extract added at the end. The taste is delicious, and the guilt is non-existent. These three Thai-inspired and two Indian-inspired curries use a wide variety of vegetables, proteins, and spices. I explain some of the specialized ingredients on the last page. If you love curries, you might want to take a trip to an Asian grocery store and stock up on a few things. The ingredients last a long time in the freezer or on the shelf. Download “Curries Made Healthier” here. I’ve yet to meet anyone who doesn’t like some kind of lentil or split pea soup. They’re popular for a reason. What’s not to like about warm, creamy, and healthy? I’ve brought together my favorite lentil and split pea soup recipes in this latest Fiver. Without oil and made from unprocessed ingredients, these soups deliver on both flavor and nutrition. Each of these recipes has something that takes it from ordinary to extraordinary—either the choice of spices or a novel combination of ingredients. Please read through them to find out. For four of the recipes, I provide directions for making it in the Instant Pot as well as the stovetop. Your choice. Download the “Lentil and Split Pea Soups” Fiver here. Americans have a love-hate relationship with potatoes. The “love” part is French fries, almost its own food group. But low-carb diets have vilified potatoes for years, and many people try their best to avoid eating potatoes. Never mind that whole societies have thrived for centuries on high-carb, high-potato diets. Rediscover potatoes’ taste and nutrition by using them in healthy recipes. I’ve devised five mouth-watering choices here, from appetizers to entrees. Download the “I Love Potatoes!” Fiver here. Plant-based gravy? An enthusiastic “Yes!” No meat drippings? No problem. I’ve experimented for over a year to come up with a tasty gravy with no added oil or butter. It tastes great and has a creamy, smooth texture. But gravy usually goes over meat, right? That doesn’t mean there aren’t many plant-based dishes that taste great with gravy. I’ve pulled together four recipes (again, no added oil or other processed ingredients) that go super-well with gravy. All of these recipes would make delicious dishes for the Thanksgiving table. 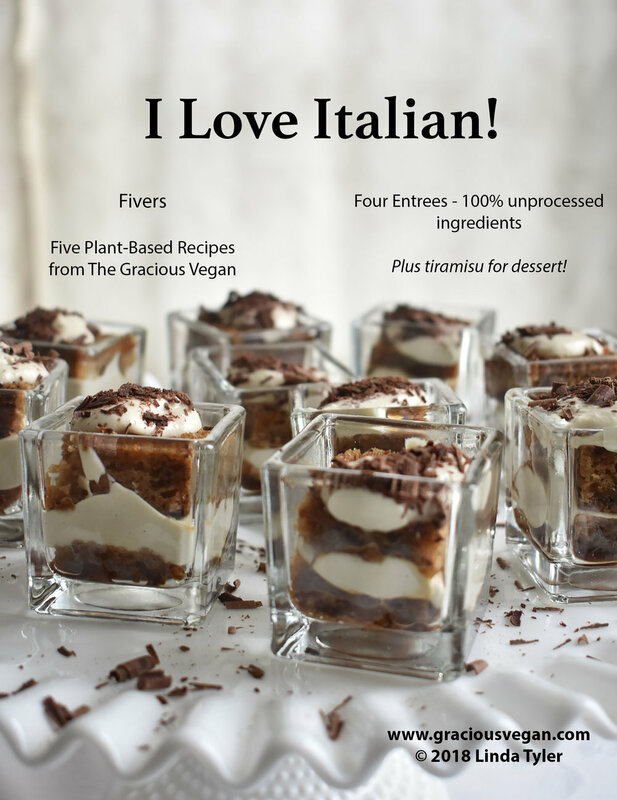 Make one or more for an all-plant-based holiday, or as a scrumptious contribution to any celebration. Download the “I Love Gravy!” Fiver here.